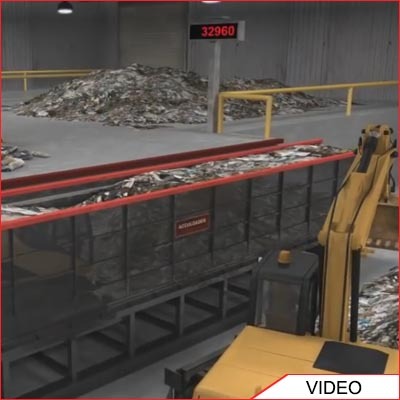 Load 20 to 40-foot containers in as little as 10 minutes with the Acculoader™, instead of using a skip steer which could take more than an hour. Designed for any size yard, this unique product for HMS 1 and 2 steel loads products with maximum weight capacity and comes with an integrated scale system that allows for accurate container weight. 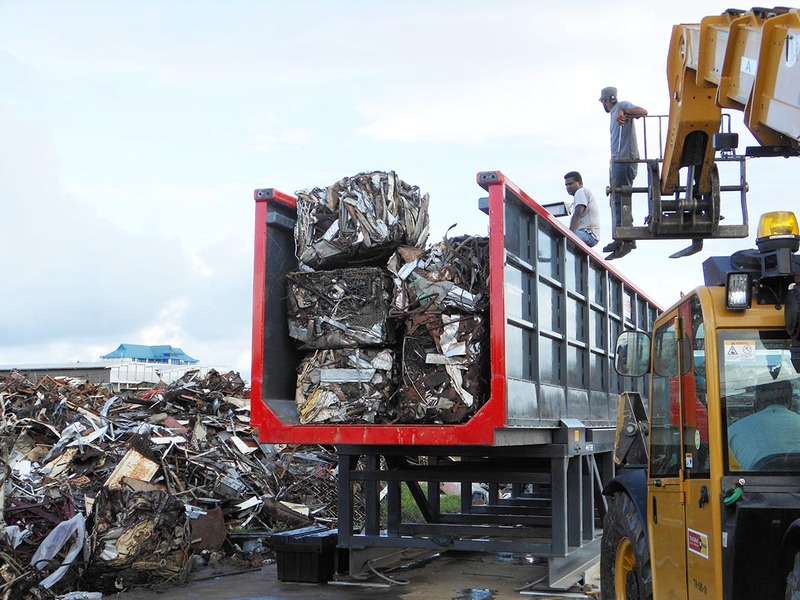 Furthermore, you can take scrap steel and recycle it into a bulk commodity intermodel container. Reducing waste the affordable way has never been so simple! Top load all of your waste into the Acculoader. All HMS 1 and 2 material is then transferred into the bulk commodity intermodel container, which can then be put on a rail car in single or double level, and sent via rail to the landfill. Thus, you have reduced your need for line-haul trucks. 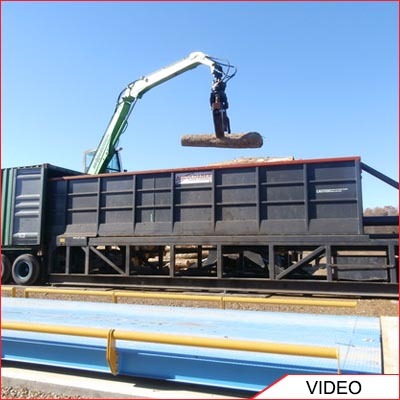 Our heavy duty container loading system can take anything you can throw at it! Not only does the Acculoader container loader make loading easier, it's safer as well. A Container loading machine that can load containers in just a matter of minutes. Manufactured to withstand heavy impact materials so that even the heaviest commodity can be loaded into any shipment container. The only proven horizontal container loading system in the world with more than 60 installed units over the last 3 years. 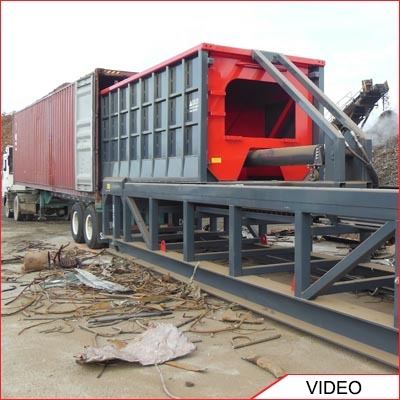 The fastest way to horizontally load your ferrous and non-ferrous metals in 20 or 40 foot shipping containers. Streamline your container loading process. Not only is the Acculoader safe, it's also fast! No need to spend hours and hours slowly pushing individual small loads into the back of a container with loaders and makeshift pushing devices. We give you a way to reduce steps in the loading process, allowing for faster loading that will save you on loading costs. With the Acculoader we automate the process for you with 2 easy steps, just load and unload! Once you have fully loaded your materials into the Acculoader, with a press of a button you are able to transfer that load into a container. The Acculoader container loader was designed with safety in mind. The solid durable steel frame can take on the just about anything you can throw at it, from steel scrap to the heaviest of loads like timber. The last thing you need is heavy materials falling onto workers or damaging expensive equipment. The heavy duty thick walls keep your heavy loads safely secured inside of the Acculoader keeping your workers safe from those heavy materials. Because loading takes place on level ground as opposed to tilt loaders, there is no danger of possible mechanical failure causing damage or safety issues. Our built in scale system keeps track of load weight not only to help with figuring out load cost, but also to ensure that you are not overloading a container beyond its weight capacity. 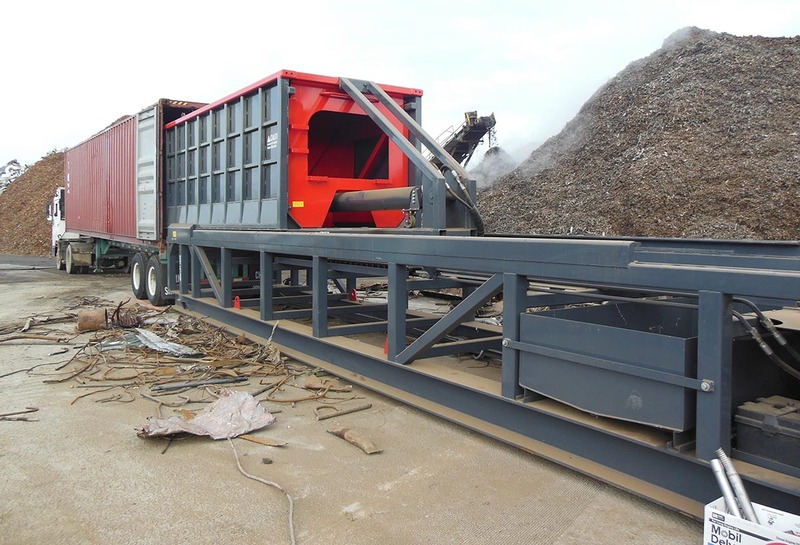 The Acculoader can handle all types of lose bulk materials: Grain, garbage, steel scrap, lumber, heavy awkward equipment and much more. If you can fit it, the Acculoader can load it. With a strong durable design along with a powerful hydraulic system, any load can be pushed into the container with ease. Grain and materials that are made of fine particles are no problem for the acucloader, and because of our walled off design there if very minimal dust created and no loss of material while loading. Whatever your business is, if you need to load something into a container, the Acculoader high speed container loader is for you. Integrate Scale systems to determine accurate container weight. Our Container loader is designed to work in fast-paced work enviroments for continuous use. Our container loader uses a scale system for accurately weighing outgoing goods. In addition to providing accurate and real time data for better material management, using our container loading system will also increase safety in the workplace by keeping your containers from being overloaded. Contact us today!We would love to hear from you. 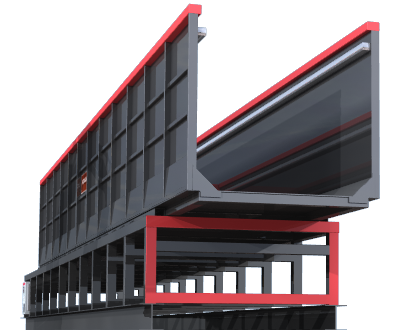 Discover a better way to load HMS 1 & 2 steel with the patented container loading shipping product, intermodal container loading by X Body Equipment Inc. X Body Equipment Inc. designs and sells a HMS bulk commodities loader. 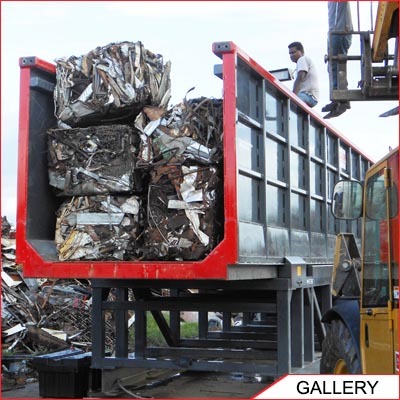 Our equipment was developed for the scrap steel industry by experts with more than 15 years of experience. We have developed our machine to specifically load HMS 1 & 2 products. HMS 1 & 2 Products are primarily scrap metals, steel and iron. Because the Acculoader has the smallest footprint available at 41 feet long, it is perfect for space-restrictive yards. The Acculoader™ is designed to transport the heaviest materials conviently and safely. View our video with full explanation by visiting the Photos & Videos page. © 2017 Copyright X Body Equipment. All Rights Reserved.